What is Biotin and Pantothenic acid in Topcare? Pantothenic acid and biotin are types of B vitamins. They are water-soluble, which means that the body can’t store them. What are all the Uses of Biotin and Pantothenic acid in Topcare? Deficiency can lead to hair loss and skin problems. Mild biotin deficiency is often seen during pregnancy. It can lead to abnormal development in the fetus. There is some evidence that biotin may improve the strength and durability of fingernails and enhance hair and skin health. Pantothenic acid and biotin are needed for growth. They help the body break down and use food. This is called metabolism. They are both required for making fatty acids. 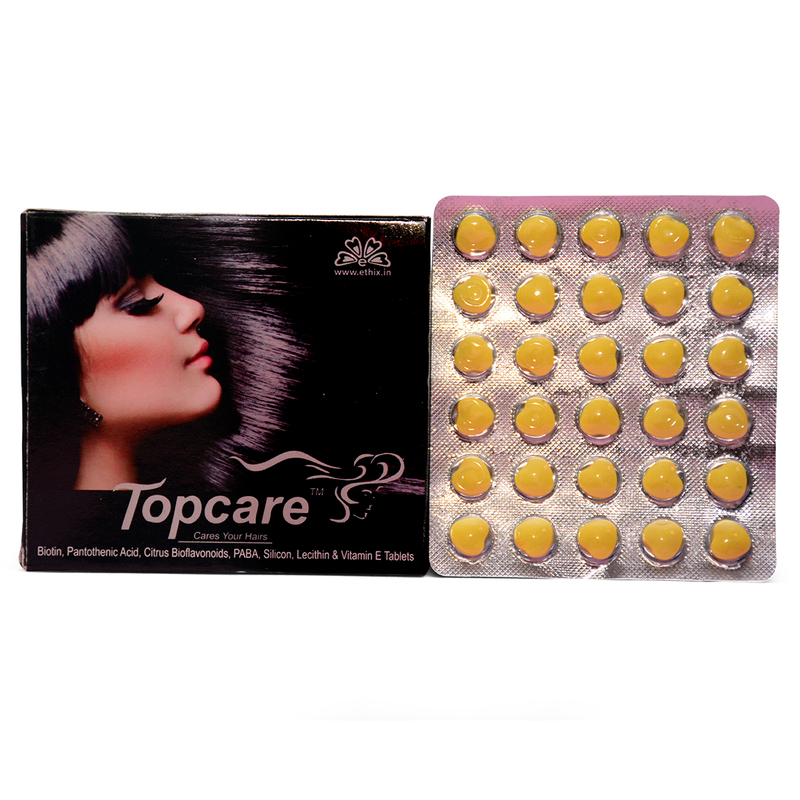 See more..
What are the Signs of deficiency of Biotin in Topcare? What are the Uses of Vitamin E in Topcare? Vitamin E in Topcare may help support a healthy scalp and hair as it has natural antioxidant effects that could assist with maintaining hair growth. The vitamin’s antioxidant properties could help reduce the amount of oxidative stress and free radicals that cause the hair follicle cells in a person’s scalp to break down. Vitamin E in Topcare can help replenish shine that the hair loss as a result of damage. Chemicals, heat, and other styling products can all damage the hair. What are the Uses of Citrus Bioflavonoids, silicon, and lecithin in Topcare? Citrus Bioflavonoid in Topcare is typically used in health supplements to support the immune system. Lecithin and silicon in Topcare can be used as a skin moisturizer. See more..
JointoVit is used to reduce osteoarthritis-related pain, stiffness, and swelling in the joints. Improve function in people with knee or hip osteoarthritis. It decrease joint inflammation and improves joint flexibility. It improves skin, hair and nail condition and clinically proven to reduce fine lines & wrinkles. 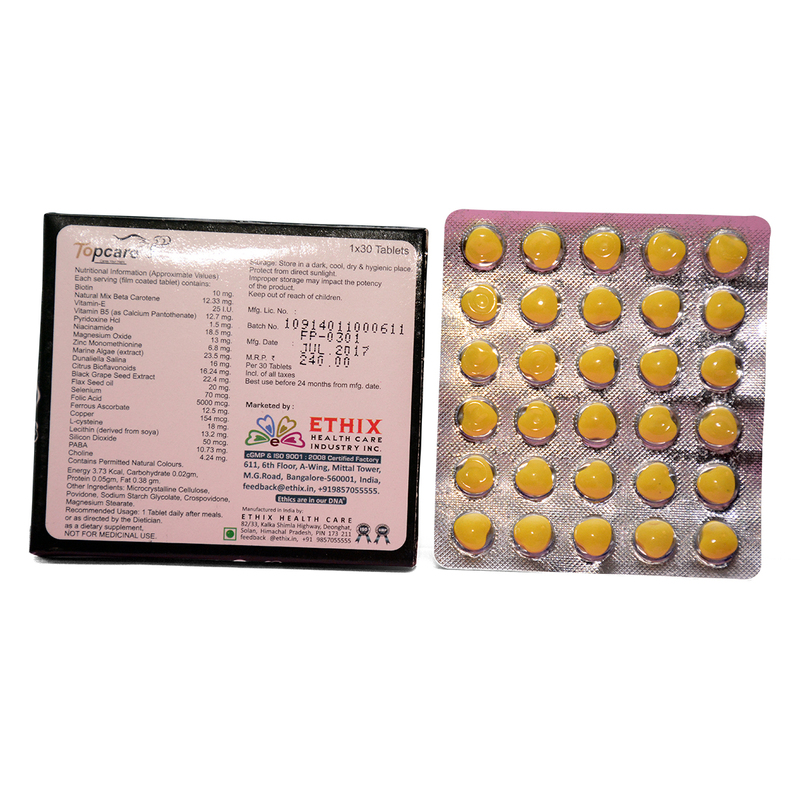 Cefixime in KeFix-Forte is used to treat a wide variety of bacterial infections. This medication is known as a cephalosporin antibiotic. It works by stopping the growth of bacteria. This antibiotic treats only bacterial infections. Nurovit-plus is used to give all the nutritional supplements to the body and leads to healthy life. It promotes nourishment to the skin, prevent anemia and also has anti inflammatory properties.